Jain, Vijay K. (2012), Acharya Amritchandra's Purushartha Siddhyupaya, Vikalp Printers, ISBN 81-903639-4-8, This article incorporates text from this source, which is in the public domain. 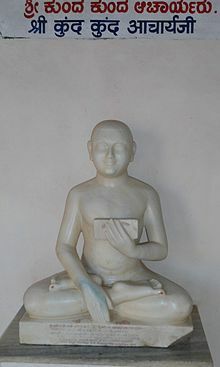 Jain, Vijay K. (2011), Acharya Umasvami's Tattvārthsūtra (1st ed. ), (Uttarakhand) India: Vikalp Printers, ISBN 81-903639-2-1, This article incorporates text from this source, which is in the public domain. Zimmer, Heinrich (1953) [April 1952], Campbell, Joseph (ed. ), Philosophies Of India, London, E.C. 4: Routledge & Kegan Paul Ltd, ISBN 978-81-208-0739-6, This article incorporates text from this source, which is in the public domain. This page was last edited on 23 March 2019, at 18:21 (UTC).